Florabelle Florist & Gifts proudly serves the Hinesville area. We are committed to providing great customer service, the finest floral arrangements, beautiful floral designs, as well as gift baskets and much more. Our customers are important to us and our friendly staff is dedicated to making your experience a pleasant one. We will always go the extra mile to make your floral gift perfect! 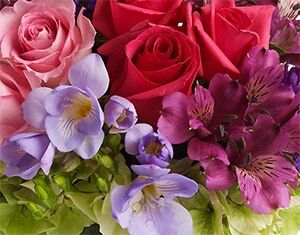 Make Florabelle Florist & Gifts your first choice for flowers. 9:30 a.m. to 1:00 p.m. on Saturday.